The F-Class International Team Match is the main national match for F-Class competitors between England, Northern Ireland, Scotland and Wales. There are in fact two matches, one for F-Open and one for F-TR competitors. Both matches follow the same format consisting of teams of four firers, a captain and two coaches. Each firer completing a 2 sighter and 15 round shoot at each of 900 and 1000 yards. 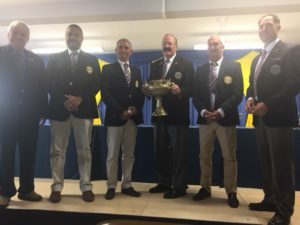 The match usually takes place at Bisley every year during the NRAs Imperial meeting in July, with the match taking place on second Tuesday.